competitive NMDA channel antagonists such as dizolcipine (MK-801) have a theoretical advantage over competitive agents such as CGS 19755, in that competitive antagonism may be overcome by the pathologically high concentrations of glutamate associated with cerebral ischaemia.66 These two agents have proved particularly encouraging as neuroprotectants.67-71 Again, as with so many neuroprotective agents, these seem to be more effective in focal ischaemia7273 than global ischaemia, although this may be open to debate.74 One possible explanation for this is the occurrence of spontaneous depolarizations and repolarizations in the penumbral tissues of an infarct. These processes produce a heavy metabolic demand on the tissues and it may be here that NMDA antagonists act.75 In global ischaemia no such processes occur and thus the antagonists may have no target on which to act. Unfortunately the non-selective blockers have been associated with the development of neuronal vacuolation in the posterior cingulate region in experimental models,29 and have hence not been rapidly brought into clinical use. Hypothermia treatment (mechanical cooling) was first described in 1943 and there have been sporadic attempts over the last 50 years to use it as a treatment modality.60 Recent trials have suggested that it may be useful in patients with head injury.109110 The most recent trial 109 concludes that treatment with moderate hypothermia (33-34°C) for 24 h, initiated soon after head injury, significantly improved outcome at three and six months in those with a GCS of 5-7 (i.e. without flaccidity or decerebrate rigidity) and suggested improved outcome at 12 months. Mild hypothermia is not associated with the cardiovascular and metabolic derangements commonly observed at lower temperatures. However, the mechanisms by which hypothermia limits secondary brain injury are ill defined. Possible mechanisms are given in Box 3.2. Hypothermia may be induced pharmacologically with chlorpromazine or other central nervous system cholinergic agonists.111112113 Application of these methods requires further work. The question of whether hypothermia is clinically useful for stroke therapy remains unanswered. Zivin114 suggests that physical considerations of heat transfer rates make it unlikely that pharmacological agents will be effective at reducing body temperature. The protective effects of the volatile agents may be as a result of the prevention of a cerebral hyperthermic response to ischaemia.5457 In studies where brain temperature has been increased compared with those with hypothermia, infarct size is increased. This highlights the importance of meticulous monitoring and control of cerebral temperature in studies of pharmacological neuroprotection. The success of experimental neuroprotection is undeniable and new publications continue to explore novel and exciting therapeutic targets. However, the major challenge facing clinical neuroscientists is the general failure to translate these successes into positive results from outcome trials, possible reasons for which are listed in Box 3.3. 1. Reduction of rate of energy use for electrophysiological cortical activity and the homoeostatic functions required to maintain cellular integrity. 2. Reduction of extracellular concentrations of excitatory amino acids. 3. Suppressing the posttraumatic inflammatory response. 4. Attenuating free radical production. 5. Maintenance of high energy phosphate. Two radically different approaches have been suggested to overcoming the problems inherent in patient heterogeneity and lack of sensitivity of outcome measures. The first of these is to accept that these problems are unavoidable and mount larger outcome trials of 10-20,000 patients which will address benefits of a magnitude less than the 10% improvement in outcome that most drug trials are designed to detect. The alternative strategy is to mount smaller but much more detailed studies in homogeneous subgroups of patients whose physiology is characterized by modern monitoring and imaging techniques. Repeated application of these techniques during the course of a trial can provide evidence of reversal of pathophysiology and hence mechanistic efficacy. Such surrogate endpoints could then be used to select drugs or combinations of drugs for larger outcome trials. It is likely that both approaches will find a place, depending on the setting. 1. Verhaegen M, Warner DS. Brain protection and brain death. In: Van Aiken H, Jones RM, Aitkenhead AR, Foex P (eds) Neuro-Anaesthetic Practice. BMJ Publishing Group, London, 1995, pp 267-293. ■2. Graham D, Hume Adams J, Gennarelli TA et al. Pathology of brain damage in brain injury. In: Tindall G, Cooper R, Barrow D (eds) The practice of neurosurgery. Williams and Wilkins, Baltimore, 1996, pp 1385-1400. 3. Andrew K. Head injuries. In: Andrews K (ed) Essential neurosurgery. Churchill Livingstone, London, 1991, pp 59-80. 4. Alaich EF, Eisenberg HM. Diffuse brain injury. In: Tindall G, Cooper R, Barrow D (eds) The practice of neurosurgery. Williams and Wilkins, Baltimore, 1996, pp 1461-1490. ■5. Povlishock JT, Christmas CW. The pathobiology of traumatically induced axonal injury in animals and humans: a review of current thoughts. J Neurotrauma, 1995: 12: 555-564. 6. Klauber MR, Marshall LF, Luerssen TG et al. Determinants of head injury mortality: importance of the low risk patient. Neurosurgery 1989; 24: 31-36. ■7. Marshall LF, Toale BM, Bowers SA. The National Traumatic Coma Data Bank II. Patients who talk and deteriorate: implications for treatment. J. Neurosurg 1983; 59: 285-288. 8. Reilly PJ, Adams JH, Graham DI. Patients with head injury who talk and die. Lancet 1975; 2: 375-377. ■9. Lian LM, Bergsneider M, Becker DP. Pathology and pathophysiology of head injury. In: Youmans JR (ed) Neurological surgery, 4th edn WB Saunders, Philadephia, 1996, pp 1549-1595. 10. Milde LN, Weglinski MR. Pathophysiology of metabolic brain injury. In: Cottrell JE, Smith DS (eds) Anaesthesia and neurosurgery, 3rd edn Mosby, St Louis, 1994, pp 59-92. 11. Vanhoutte PM. Calcium entry blockers, vascular smooth muscle and systemic hypertension. Am J Cardiol 1985; 55(suppl B): 17-23. 12. Albers GW Mechanisms of injury to the central nervous system. In: Andrews RJ (ed) Intraoperative neuroprotection. Williams and Wilkins, Baltimore, 1996, pp 7-19. 13. Benveniste H, Jorgensen M, Sandberg M et al. Ischaemic damage in hippocampal CA1 is dependent on glutamate release and intact innervation from CA3. J Cereb Blood Flow Metab 1989; 9: 629-639. 14. Drejer J, Benveniste H, Diemer NH, Schausboe A. Cellular origin of ischaemia-induced glutamate release from brain tissue in vivo and in vitro. J Neurochem 1985; 45: 145. 15. Munglani R, Hunt SP, Jones JG. The spinal cord and chronic pain. In: Kaufman L, Ginsburg R (eds) Anaesthesia review 12. Churchill Livingstone, London, 1995 pp 53-76. ■16. Siesjo BK, Bengtsson F. Calcium fluxes, calcium antagonists, and calcium related pathology in brain ischaemia, hypoglycaemia, and spreading depression: a unifying hypothesis. J Cereb Blood Flow Metab 1989; 9: 127-140. 17. Ganong WF. Review of medical physiology. Endocrinology, metabolism and reproductive function, 16th edn. Appleton and Lange, New York, 1993, pp 253-286. 18. Siesjo BK. Cell damage in the brain. A speculative synthesis. J Cereb Blood Flow Metab 1981; 1: 155. 19. Siesjo BK, Siesjo P. Mechanisms of secondary brain injury. Eur Anaesthesiol 1996; 13: 247-268. ■20. Lanier W, Stanglard K, Scheithauer BW et al. The effects of dextrose infusion and head position on neurologic outcome after complete cerebral ischaemia in primates. Examination of a model. Anesthesiology 1987; 66: 39-48. ■21. Ganong WF. Review of medical physiology. The general and cellular basis of medical physiology, 16th edn. Appleton and Lange, NewYork 1993, pp 1-41. 22. Siesjo BK. Pathophysiology and treatment of focal cerebral ischaemia. Part I Pathophysiology. J Neurosurg 1992; 77: 169-182. 23. Fieschi C, Di Piero V, Lenzi GL et al. Pathophysiology of ischemic brain disease. Stroke 1990; 21(12): IV 9-11. ■24. Deshpande JK, Siesjo BK, Wieloch T. Calcium accumulation and neuronal damage in the rat hippocampus following cerebral ischaemia. J Cereb Blood Flow Metab 1987; 7: 89-95. ■25. Cottrell JE. Possible mechanisms of pharmacological neuronal protection. Symposium article. J Neurosurg Anesthesiol 1995; 7 (1): 31-37. ■26. Alberts B, Bray D, Lewis J et al. Differentiated cells and the maintenance of tissues. In: Molecular biology of the cell, 3rd edn. Garland, New York, 1994, pp 1174-1175. 27. Stellar H. Mechanisms and genes of cellular suicide. Science 1995; 267: 1445-1449. 28. Siesjo BK Pathophysiology and treatment of focal cerebral ischaemia. Part II Mechanisms of damage and treatment. J Neurosurg 1992; 77: 337-354. 29. Menon DK, Summors A. Neuroprotection. Curr Opin Anaesthesiol 1998; 11: 485-496. ■30. Gupta AK, Thiru S, Braley J, Marshall L, Menon DK. Delayed increases in adhesion molecule expression after traumatic brain injury in humans. J Cereb Blood Flow Metab 1995; 15(suppl 1): S33. ■31. Chopp M, Zhang RL, Chen H, Jiang N, Rusche JR. Postischaemic administration of an anti-Mac-1 antibody reduces ischaemic cell damage after transient middle cerebral artery occlusion in rats. Stroke 1994; 25: 869-876. ■32. Lindsberg PJ, Siren AL, Feuerstein GZ, Hallenbeck JM. Antagonism of neutrophil adherence in the deteriorating stroke model in rabbits. J Neurosurg 1995; 82: 269-277. ■33. Hall R, Murdoch J. Brain protection physiological and pharmacological considerations. Part II: The pharmacology of brain protection. Can J Anaesth 1990; 37(7): 762-777. 34. Steen PA, Michenfelder JD. Mechanisms of barbiturate protection. Anesthesiology 1980; 53: 183-85. 35. 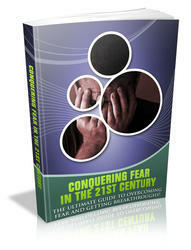 Cuchiara RF, Michenfelder JD (eds). Clinical neuroanesthesia Churchill Livingstone, New York, 1990, p 193. ■36. Michenfelder J. The interdependency of cerebral function and metabolic effects following massive doses of thiopental in the dog. Anesthesiology 1974; 41: 231-236. ■37. Abrahamson NF, Safar D, Detre KM. Randomised clinical study of thiopental loading in comatose survivors of cardiac arrest. N Engl J Med 1986; 314: 397-403. ■38. Brain Resuscitation Trial. Randomised clinical study of thiopental loading in comatose survivors of cardiac arrest. N Engl J Med 1986; 314: 397-403. ■39. Kuroiwa T, Bonnekoh P, Hossman KA. Therapeutic window of CA1 neuronal damage defined by an ultra-short-acting barbiturate after brain ischaemia in gerbils. Stroke 1990; 21: 1489-1493. 40. Warner DS, Zhou J, Ramani R, Todd MM. Reversible focal ischaemia in the rat: effects of halothane, isoflurane, and methohexital anaesthesia. J Cereb Blood Flow Metab 1991; 11: 794-802. 41. Vardesteene A, Tremport V, Engelna E et al. Effect of propofol on cerebral blood flow and metabolism in man. Anaesthesia 1988; 43: 42. 42. Varner PD, Vinik HR, Funderburg C. Survival during severe hypoxia and propofol or ketamine anaesthesia in mice. Anesthesiology 1988; 69: A571-1988. 43. Kocks E, Hoffman WE, Werner C et al. The effects of propofol on neurologic outcome from incomplete cerebral ischaemia in the rat. Anesthesiology 1990; 73: A718-1990. 44. Young Y, Menon DK, Tisaripat N et al. Propofol neuroprotection in a rat model of ischaemia reperfusion injury. Eur J Anesthesiol 1997; 14: 320-326. 45. Milde LN, Milde JH. Preservation of cerebral metabolites by etomidate during incomplete cerebral ischaemia in dogs. Anesthesiology 1985; 65: 272. 46. Tulleken CAF, Van Dieren A, Jonkman J et al. Clinical and experimental experience with etomidate as a brain protective agent, J Cereb Blood Flow Metab 1982; 2(suppl): 592. 47. Smith DS, Keykhah MM, O' Neill JJ et al. The effect of etomidate pretreatment on cerebral high energy metabolites, lactate and glucose during severe hypoxia in the rat. Anesthesiology 1989; 71: 438. 48. Baughman VL, Hoffman WE, Miletich DJ et al. Neurologic outcome following regional cerebral ischaemia with methohexital, midazolam, and etomidate (abstract). Anesthesiology 1987; 67: A582. 49. Drummond JC. Changing practices in neuroanesthesia. Can J Anaesth 1990; 37: SLxxxix-Scvii. ■50. Barber H, Hoyer S, Kreir C. The influence of etomidate upon cerebral metabolites after complete brain ischaemia in the rat. Eur J Anaesth 1991; 8: 233. ■51. Hoffman WE, Pelligrino D, Werner C et al. Ketamine decreases plasma catecholamines and improves outcome from incomplete cerebral ischaemia in rats. Anesthesiology 1992; 76: 755-762. ■52. Nugent M, Artru AA, Michenfelder JD. Cerebral metabolic, vascular and protective effects of midazolam maleate. Anesthesiology 1982; 56: 172-176. 53. Drummond JC. Editorial. Brain protection during anaesthesia. Anesthesiology 1993; 79: 877-880. ■54. Neuberg LA, Michenfelder JD. Cerebral protection by isoflurane during hypoxaemia or ischaemia. Anesthesiology 1983; 59: 2935. ■55. Todd M, Warner DS. A comfortable hypothesis reevaluated. Cerebral metabolic depression and brain protection during ischaemia. Anesthesiology 1992; 76: 161-164. ■56. Warner DS, Mc Farlane C, Todd MM, et al. Sevoflurane and halothane reduce focal ischaemic brain damage in the rat. Possible influence on thermoregulation. Anesthesiology 1993; 78: 985-992. ■57. Rampil IJ. Cerebral protection, resuscitation and monitoring. A look into the future of neuroanesthesia. Anaesthesiol Clin North Am 1992; 10(3): 683-718. 58. Larsen M, Heysted E, Berg-Johnsen J, Langmoen IA. Isoflurane increases the uptake of glutamate in synaptosomes from rat cerebral cortex. Br J Anaesth 1997; 78: 55-59. ■59. Giffard RG, Jaffe RA. Anesthetic agents for neuroprotection. In: Andrews RJ (ed) Intraoperative neuroprotection. Williams and Wilkins, Baltimore, 1996, pp 23-36. 60. McIntosh TK, Smith DH, Garde E. Therapeutic approaches for the prevention of secondary brain injury. Eur J Anaesthesiol 1996; 13: 291-309. 61. Kaas IS, Cottrell JE, Chambers G. Magnesium and cobalt, not nimodipine protect neurones against anoxic damage in the rat hippocampal slice. Anesthesiology 1988; 69: 710-715. 62. Gelmans HJ, Garter K, De Weerdt CJ et al. Controlled trial of nimodipine in acute ischaemia stroke. N Engl J Med 1988; 318: 203-207. 63. Allen GS, Ahn HS, Preziosi TJ et al. 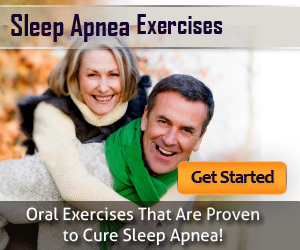 Cerebral arterial spasm. A controlled trial of nimodipine in patients with subarachnoid haemorrhage. N Engl J Med 1983; 308: 619-624. 64. Astrap J, Sorensen PM, Sorensen HR Inhibition of Cerebral oxygen and glucose consumption in the dog by hypothermia pentobarbital and lidocaine. Anesthesiology 1981; 55: 263-268. 65. Mercier P, Alback, Rizk T et al. Are the calcium antagonists really useful in cerebral aneurysm surgery? A retrospective study. Neurosurgery 1004; 34: 30-37. 66. Hudspith MJ. Glutamate: a role in normal brain function, anaesthesia, analgesia and CNS injury. Review article. Br J Anaesth 1997; 78: 731-747. 67. Boast CA, Gerhardt SC, Pastor G et al. The N-methyl-D-aspartate antagonists CGS 19755 and CPP reduce ischaemia brain damage in gerbils. Brain Res 1988; 442: 345. 68. Ozuart E, Graham D, Woodruff G, McCulloch J. Protective effect of the glutamate antagonist, MK-801 in focal cerebral ischaemia in the cat. J Cereb Blood Flow Metab 1988; 8: 134-143. 69. Church J, Zeman S, Lodge D. The neuroprotective action of ketamine and MK-801 after transient cerebral ischaemia in rats. Anesthesiology 1988; 69: 702-709. 70. Shapira Y, Yadid G, Cotev S et al. Protective effects of MK-801 in experimental brain injury. J Neurotrauma 1990; 7: 131-139. 71. Iversenn LL, Kemp JA. Non-competitive NMDA antagonists as drugs. In: Collingridge GL, Watkins JC, (eds) The NMDA receptor, 2nd edn Oxford University Press, Oxford, 1994 pp 469-486. 72. Lanier W, Perkins W, Karlson B et al. The effect of dizocilipine maleate (MK-801), an antagonist of the NMDA receptor, on neurologic recovery and histopathology following complete cerebral ischaemia in primates. J Cereb Blood Flow Metab 1990; 10: 252-261. 73. Nellgord B, Wieloch T. Post ischaemic blockade of AMPA but not NMDA receptors mitigates neuronal damage in the rat brain following transient severe cerebral ischaemia. J Cereb Blood Flow Metab 1992; 12: 2-11. 74. Meldrun BS, Chapman AG. Competitive NMDA antagonists as drugs. In: Collingridge GL, Watkins JC, (eds) The NMDA receptor, 2nd edn Oxford University Press, Oxford, 1994 pp 457-468. 75. Iijima T, Mies G, Hossman K. Repeated negative Dc deflections in rat cortex following middle cerebral artery occlusion are abolished by MK-801 - effect on volume of ischaemic injury. J Cereb Blood Flow Metab 1992; 12: 727-733. 76. Lipton SA. Prospects for clinically tolerated NMDA antagonists: open channel blockers and alternative redox states of nitric oxide. Trends Neurosci 1993; 16: 527-532. 77. Smith DH, Okiyama K, Geunarelli TA, McIntosh TK. Magnesium and ketamine attenuate cognitive dysfunction following experimental brain injury. Neurosci Lett 1993; 157: 211-214. 78. Lucas JH, Wolf A. In vitro studies of multiple impact injury in mammalian neurones: prevention of perikaryal damage by ketamine. Brain Res 1991; 543: 181-193. 79. Hoffman W, Pelligrino D, Werner C et al. Ketamine decreases plasma catecholamines and improves outcome from incomplete cerebral ischaemia in rats. Anesthesiology 1992; 76: 923-929. 80. Shohami E, Novikov M, Mechoulam R. A non-psychotropic cannabinoid, HU - 211, has cerebroprotective effects after closed head injury in the rat. J Neurotrauma 1993; 10: 109-119. 81. Choi DW. Dextrophan and dextromethorphan alternate glutamate neurotoxicity. Brain Res 1987; 403: 333-336. 82. Faden AI, Demedink P, Panter SS, Vink R. The role of excitatory amino acids and NMDA receptors in traumatic brain injury. Science 1989; 244: 798-800. 83. Goldman RS, Finkbeiner SM. Therapeutic uses of magnesium sulphate in selected cases of cerebral ischaemia and seizure N Engl J Med 1988; 319: 1224-1225. 84. Vacanti FX, Ames A. Mild hypothermia and Mg2+ protect against irreversible damage during CNS ischaemia. Stroke 1984; 15: 695-698. 85. Le Reille TE, Arvin B, Moucada C, Meldrum B. The non-NMDA antagonists, NBQX and GYK152466, protect against cortical and striatal cell loss following transient global ischaemia in the rat. Brain Res 1992; 571: 115-120. 86. Gill R, Nordholm L, Lodge D. The neuroprotective actions of 2,3-dihydroxy-6-nitro-7-sulfamoyl-benzo (F) quinoxaline (NBQX) in a rat focal ischaemic model. Brain Res 1992; 580: 35-43. 87. McIntosh TK, Vaddi M, Smith DH, Stutzmann J-M. Ribuzole, a compound which interferes with glutamate neuro transmission, improves cognitive deficits following experimental brain injury in rats. J Neurotrauma 1995; 12: 379. 88. Abe K, Yuki S, Kogure K. Strong attenuation of ischaemic and post ischaemic brain edema in rats by a novel free radical scavenger. Stroke 1988; 19: 480-485. 89. Yamamato M, Shina T, Vozumi T et al. A possible role of lipid peroxidation in cellular damage caused by cerebral ischaemia and the protective effect of a-tocopherol administration. Stroke 1983; 14: 977-982. 90. Sakaki S, Ohta S, Wakamura H, Takeda S. Free radical reaction and biological defence mechanism in the pathogenesis and prolonged vasospasm in experimental subarachnoid haemorrhage. J Cereb Blood Flow Metab 1988; 8: 1-8. 91. Anderson D, Saunders R, Demedink P et al. Lipid hydrolysis and peroxidation in injured spinal cord: partial protection with methylprednisolone or vitamin E and selenium. J Neurotrauma 1985; 2: 257-267. 92. Clifton G, Lyeth BG, Jenkins LW et al. Effect of D1 a-tocopherol succinate and polyethylene glycol on performance tests after fluid percussion brain injury. J Neurotrauma 1989; 6: 71-81. 93. Hall ED, Youkers PA, Heron KL, Braughter JM. Correlation between attenuation of post-traumatic spinal cord ischaemia and preservation of tissue vitamin E by the 21-aminosteroid U74006F. J Neurotrauma 1992; 9: 169-176. 94. Panter SS, Braughter JM, Hall E. Dextron-coupled deferoxamine improves outcome in a murine model of head injury. J Neurotrauma 1992; 9: 47-53. 95. Lim KH, Connally M, Rose D et al. Prevention of the reperfusion injury of the ischaemic spinal cord: use of recombinant superoxide dismutase. Ann Thorac Surg 1986; 42: 282-286. 96. Forsman M, Fleischer JE, Milde J, Steen P, Michenfelder J. Superoxide dismutase and catalase failed to improve neurologic outcome after complete cerebral ischaemia in the dog. Acta Anaesthesiol Scand 1988; 32: 152-155. 97. Coles JC, Ahmed SN, Mehta ITU, Kaufman JC. Role of radical scavenger in protection of spinal cord during ischemia. Ann Thorac Surg 1986; 41: 555-556. 98. Liu TH, Beckham JS, Freeman BA et al. Polyethylene-glycol-conjugated superoxide dismutase and catalase reduce ischemic brain injury. Am J Physiol 1989; 256: H589-H592. 99. Matsumiya N, Kochler RC, Kirsch JR, Traytsmon RJ. Conjugated superoxide dismutase reduced extent of caudate injury after transient focal ischemia in cats. Stroke 1991; 226: 1193-1200. 100. Muizelaar JP, Marmarou A, Young HF et al. Improving the outcome of severe head injury with the oxygen radical scavenger polyethylene glycol-conjugated superoxide dismutase: a phase II trial. J Neurosurg 1993; 78: 375-382. 101. Andrews RJ, Giffard RG. Clinically useful nonanesthetic agents. In: Andrews RJ (ed) Intraoperative neuro-protection. Williams and Wilkins, Baltimore, 1996, pp 37-63. 102. Egan RW, Paxton J, Kuehl FA. Mechanism for irreversible self deactivation of prostaglandin synthetase. J Biol Chem 1976; 257: 7329. 103. Van Den Kerckhoff W, Hossman KA, Hossman V. No effect of prostacyclin on blood flow, regulation of blood flow and blood coagulation following global cerebral ischemia. Stroke 1983; 14: 724. 104. Hall ED, Wolf DC. A pharmacological analysis of the pathophysiological mechanisms of post-traumatic spinal cord ischemia. J Neurosurg 1986; 64: 951-961. 105. Dempsey RJ, Roy MW, Meyer KL et al. Indomethacinmediated improvement following middle cerebral artery occlusion in cats. Effects of anaesthesia. J Neurosurg 1985; 62: 874. 106. Grice SC, Chappel ET, Drough DS et al. Ibuprofen improves cerebral blood flow after global cerebral ischaemia in dogs. Stroke 1987; 18: 787. 107. Boulu RG, Plotkine M, Gueniau C et al. Effect of indomethacin in experimental cerebral ischaemia. J Pathol Biol 1982; 30: 278. 108. Hallenbeck JM, Furlow TW. Prostaglandin I2 and indomethacin prevent impairment of post-ischemic brain reperfusion in the dog. Stroke 1979; 10: 629. 109. Marion DW, Penrod LE, Kelsey SF et al. Treatment of traumatic brain injury with moderate hypothermia. N Engl J Med 1997; 36(8): 540-546. 110. Shiozaki T, Sugimoto H, Taneda M et al. Effects of mild hypothermia on uncontrolled intracranial hypertension after severe head injury. J Neurosurg 1993; 79: 363-368. 111. Menon DK, Young Y. Pharmacologically induced hypothermia for cerebral protection in humans. Correspondence. Stroke 1994; 24(2): 522. 112. Hall ED, Andrus PK, Paroza KE. Protective efficacy of a hypothermic pharmacological agent in gerbil forebrain ischaemia. Stroke 1993; 24: 711-715. 113. Todd MM, Warner DS. A comfortable hypothesis reevaluated. Cerebral metabolic depression and brain protection during ischaemia. Anesthesiology 1992; 76: 161-164. 114. Zivin JA. Correspondence. Stroke 1994; 24(2): 522-523. The skull is a rigid, closed box and contains the brain, cerebrospinal fluid (CSF), arterial blood and venous blood. Brain function depends on the maintenance of the cerebral circulation within that closed space and arterial pressure forces blood into the skull with each heartbeat. CSF is being formed and absorbed and the result of these forces is a distinct pressure, the intracranial pressure (ICP). The difference between the mean arterial pressure (MAP) and the mean ICP is the pressure forcing blood through the brain, the cerebral perfusion pressure (CPP). ICP is normal up to about 15 mmHg but it is not a static pressure and varies with arterial pulsation, with breathing and during coughing and straining. Each of the intracranial constituents occupies a certain volume and, being essentially liquid, is incompressible. In the closed box of the skull, if one of the intracranial constituents increases in size, then either one of the other constituents must decrease in size or the ICP will rise. Two of the constituents, CSF and venous blood, are contained in systems that connect to low-pressure spaces outside the skull, so displacement of these two constituents from the intracranial to the extracranial space may occur. This mechanism, then, compensates for a volume increase affecting any one of the intracranial constituents. The displacement of CSF is an important compensatory mechanism and is illustrated in the CT scan in Figure 4.1 where in response to the generalized development of cerebral oedema following head injury, the ventricles have been so compressed by the brain swelling that they are visible only as a slit. CSF absorption may increase as ICP rises and the CSF volume will be reduced. Figure 4.1 CT scan of a patient after head injury showing compression of the ventricles. The brain weighs about 1400 g and occupies most of the intracranial space. The soft cerebral tissue is very susceptible to injury, although some protection is afforded by the skull and the CSF bathing the brain. 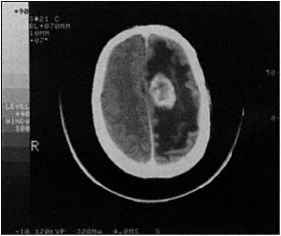 Expanding mass lesions, such as a tumour, abscess or haematoma, increase the volume occupied by the brain. When such a space-occupying lesion develops, the brain can distort in a plastic fashion, allowing some compensation for the abnormal mass, but the distortion may produce neurological signs or CSF obstruction. Figure 4.2 shows a CT scan of patient with an extradural haematoma and also shows a considerable shift of the midline structures. 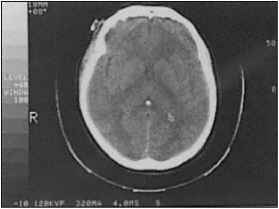 CT scan of a patient showing an extradural haematoma with considerable shift of the midline. developing in a relatively silent area of the brain or in one of the eloquent areas, such as the motor cortex. A tumour developing in a silent area can achieve large size before presenting with symptoms and signs of raised ICP (Fig. 4.3). In this situation a major disruption of ICP dynamics may be present, with significant brain shift. A tumour may present rapidly if it is in an eloquent area, if it is a fast-growing tumour or if it causes CSF obstruction. Chapter 1 describes some of the common syndromes associated with tumour development. Space occupation in the posterior fossa has some characteristic features. The posterior fossa is a much smaller space than the anterior and middle cranial fossae and as tumours developing in the posterior fossa are growing in a more confined space, they tend not to grow to large size. The relatively small volume of the posterior fossa means that tumours tend to produce a rise in ICP early and this is accentuated by the fact that they frequently produce CSF obstruction. Distortion of the mid brain and compression of the lower cranial nerves may also be produced by posterior fossa tumours. The bulk of the brain can also be increased by the development of cerebral oedema and frequently cerebral oedema is seen in association with a tumour (Fig. 4.4). The degree of space occupation produced by the oedema can be so great as to turn a relatively minor degree of space occupation from a small tumour into a major problem requiring urgent treatment. Klatzo45 provided a simple classification of cerebral oedema into two types: vasogenic and cytotoxic. In vasogenic brain oedema (VBO), the development of oedema results from damage to the blood-brain barrier, so that there is an increase in permeability of the cerebral capillaries and serum proteins leak into the brain parenchyma. The hydrostatic forces generated by the Starling balance at the capillary provide the impetus for the oedema fluid to spread through the brain; white matter, which has a less dense structure than grey, tends to offer less resistance. VBO may develop around neoplasms, haematomas and cerebral abcesses and in traumatized areas of the brain. Figure 4.3 CT scan of a patient with a large, calcified frontal meningioma. 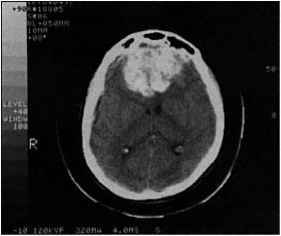 CT scan with contrast of a patient with a moderate sized glioma showing the extent of oedema formation. Once the primary lesion has allowed the initial formation of the protein-rich oedema fluid, several factors combine to spread the oedema and may be the result of arteriolar dilatation, increased systemic arterial pressure or a combination of both.6 Increased intravascular pressure accelerates the rate of oedema spread. Eventually the fluid reaches the ependymal surface of the ventricles, where it passes into the CSF to be transported and absorbed by the mechanisms that regulate CSF outflow.7 The production and maintenance of a low sagittal sinus venous pressure is important in allowing the resolution of cerebral oedema. 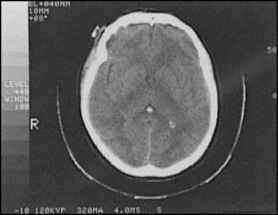 Cytotoxic brain oedema occurs after hypoxic or ischaemic episodes. The reduced state of oxygen delivery results in failure of the intracellular ATP-dependent sodium pump and therefore intracellular sodium accumulates followed by rapid increases in intracellular water. In a pure form of cytotoxic oedema, the blood-brain barrier remains intact. The serious nature of the medullary pressure coning has been mentioned earlier (p.000) and the Cushing response2 described. The mechanism of the response appears to be generated by brainstem ischaemia and Doba and Reis12 demonstrated the existence of a receptive area for the Cushing response in the lower brainstem. There is about 140 ml of CSF in the adult, half in the skull and half in the spinal subarachnoid space. CSF is formed at about 0.4 ml/min, so that an amount of CSF equal to the CSF volume is produced in 4 h.13 This is an energy-dependent active process requiring carbonic anhydrase and a sodium-potassium activated ATPase. Cutler et al14 showed that the rate of CSF production was constant in the face of a raised ICP up to 200 mmHg. After formation from the choroid plexus in the lateral ventricles, CSF flows through the third ventricle, along the aqueduct and into the fourth ventricle, where it reaches the subarachnoid space through the foramina of Luschka and Magendie. CSF is also formed by the passage of brain tissue water across the ependymal lining of the ventricles and along perivascular channels into the subarachnoid space, so that the composition of CSF changes as it circulates through the ventricular system. Shapira et al15 studied the rate of CSF production during hypotension with either adenosine or haemorrhage. They found that adenosine-induced hypotension did not affect the rate of CSF production, whereas haemorrhage-induced hypotension reduced CSF production. Adenosine is a cerebral vasodilator and haemorrhage will constrict the vessels of the choroid plexus, so CSF production falls as the choroid plexus perfusion falls. Reabsorption of CSF takes place through the arachnoid villi into the sagittal sinus and requires a pressure gradient between the CSF and the sagittal sinus venous pressure. If the venous pressure is raised, then CSF reabsorption is slowed.16 Normally CSF production is in balance with reabsorption and the CSF system is at equilibrium as regards both pressure and volume. If ICP increases, the rate of absorption of CSF also increases and ultimately the new CSF volume at equilibrium will be smaller. The stiffness of the brain will also affect the plot of CSF pressure against CSF volume, because when the tissues around the CSF are stiff, the plot of CSF pressure against volume will be steep and the equilibrium volume of CSF small. A slack brain will be associated with a flat pressure/volume curve (see Fig. 4.5) and a larger CSF equilibrium volume. (A) Diagram of a volume/pressure curve. As the breakpoint is passed at 15 mmHg the curve becomes increasingly steep so that uniform increments of volume (dV) produce increasingly large rises in ICP (dp) (redrawn from reference30, courtesy of the Editor). (B) ICP versus mass volume predicted by the Monroe-Kellie hypothesis for the curve observed during progressive epidural balloon inflation in animals. The observed curve is significantly different from the predicted curve in that its initial segment is not flat but increases slowly to a breakpoint. Beyond this breakpoint, the observed curve is not vertical but instead increases to a second plateau near the level of arterial blood pressure (redrawn from reference55, courtesy of the Editor). ventricle and through the foramen magnum may be impeded by congenital malformations. Some elderly patients develop normal-pressure hydrocephalus, in which they present with dementia and incontinence and CT scans show the appearance of hydrocephalus, though iCp measurement may be normal. Continuous measurement of ICP reveals periods of raised ICP, especially during sleep.17 These patients often benefit from CSF shunting. Reabsorption of CSF is reduced in benign intracranial hypertension,18 resulting in a greatly increased subarachnoid space. The condition tends to affect young women, particularly if they are obese. They present with headaches and the clinical picture includes marked papilloedema, which may be so marked as to affect vision. The ICP can reach very high values but without affecting consciousness. Once space occupation as a cause for the high ICP has been eliminated, lumbar puncture is safe. The role of the arterial pulse in generating the ICP, along with the CSF, has been mentioned earlier (p. 000). Each arterial pulse produces a change in the level of ICP, with a rise in ICP during systole and a fall in diastole. Plum and Siesjo13 suggested that CSF is able to absorb some of the energy in the arterial pulse wave because it transmits the pressure pulse out of the cranial cavity and into the more elastic spinal CSF space. Many workers have observed that as ICP rises, the pulse pressure of the ICP also increases.19 20 21 Pickard and Czosnyka20 suggest that two mechanisms may be active: first, the brain becomes stiffer (less compliant) as ICP rises and a given pulse volume load provokes a bigger pressure response; and second, the pulsatile component of cerebral blood flow (CBF) increases as the CPP is reduced. When autoregulation is intact an increase in MAP will not normally be associated with an increase in CBF or ICP. If, however, the rise in MAP is so rapid or so great (as in the pressor response to intubation) as to exceed the capacity of the cerebral vessels to react, then an increase in CBF and ICP may occur. When autoregulation is impaired, as in diseased or damaged brain where local tissue acidosis produces local vasodilatation, then any change in MAP will produce a change in CBF and therefore ICP.23 The blood supply of a vascular tumour is not under autoregulatory control and the tumour blood flow and therefore the size of the tumour will alter passively with changes in blood pressure. The volume of venous blood in the skull offers one of the compensating mechanisms for abnormal intracranial space occupation, because the thin-walled cerebral veins can be compressed as the space occupation proceeds and blood therefore lost from the skull to the great veins in the chest. Obstruction of the cerebral venous drainage, then, not only removes one of the compensating mechanisms but will also tend to increase ICP by holding venous blood back in the skull, distending the cerebral veins. The volume of the venous compartment of the skull also increases when there is cerebral arterial dilatation, because of the increased intravascular hydrostatic pressure. Cerebral venous obstruction also tends to promote oedema formation. The increase in ICP resulting from the venous obstruction therefore will not be completely corrected when the obstruction is relieved, because the oedema will not resolve immediately. Cerebral venous obstruction may be caused in a number of ways, including the use of the supine or head-down position and an incorrectly set lung ventilator, as well as coughing, straining or incomplete muscle relaxation in a ventilated patient. The effects on ICP of intubating an incompletely relaxed patient are demonstrated by studies which show an increase in anterior fontanelle pressure resulting from awake intubation.25 Millar and Bissonette26 reported no change in cerebral blood flow velocity during awake intubation and conclude that the observed increase in anterior fontanelle pressure could be attributed to a reduction in the venous outflow from the cranium. The effect of positive end-expired pressure (PEEP) on ICP appears to depend on the degree of intracranial compression. Aidinis et al27 described two responses to PEEP in cats: one in which the ICP rose less than the amout of PEEP which was applied and another in which the ICP increase was greater than the PEEP applied. In patients, it has been shown that most of those with significant intracranial compression display increased ICP when PEEP is applied.28 Continuous positive airway pressure (CPAP) has been investigated by Horman et al29 in volunteers demonstrating a mean increase of 4 mmHg when CPAP of 12 mmHg was applied. They suggest that the changes were of only minor clinical significance. The choice of an anaesthetic technique is helped if the anaesthetist is able to make an estimate of the degree of intracranial space occupation. The symptoms and signs of raised ICP may coexist with those due to the lesion producing the raised ICP and with those resulting from brain shift and cerebral ischaemia. 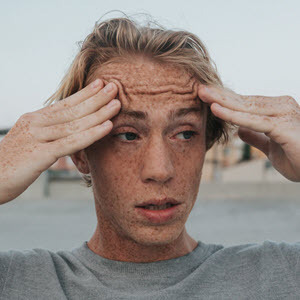 Headache, vomiting, papilloedema and drowsiness are said to be the signs produced by raised ICP,30 whereas other signs such as pupillary changes, bradycardia and hypertension result from brainstem distortion or cerebral ischaemia. The headache may be paroxysmal in nature, sometimes relieved by sitting and worsened on straining or coughing. Some patients find that the headache is worsened by flexion of the neck and they lie in a position of hyperextension. Bilateral papilloedema is the one sign that appears to be directly related to raised ICP but it takes a little time to develop. Pickard and Czosnyka20 point out that optic disc swelling was found in only 4% of head injury patients, even though 50% had raised ICP on monitoring. They comment that many of the later signs of raised ICP are the result of herniation and that monitoring of ICP should detect raised ICP at an earlier stage so that treatment is started before irreversible damage occurs. The degree of intracranial space occupation can be difficult to estimate from the clinical history and examination and much work has been done to quantify the relationship between intracranial space occupation and ICP. The simplest understanding of the relationship arises from the Monroe-Kellie hypothesis that within the closed space of the skull, a change in the volume of one intracranial constituent will be balanced by a compensatory change in another, the four constituents being incompressible. As space occupation develops, ICP shows little tendency to increase as long as compensation for the space occupation is available. CSF, for example, may be moved into the spinal subarachnoid space and venous blood displaced towards the great veins in the chest. ICP will only rise when no further CSF or venous blood can be lost from the skull. When ICP does rise, CSF production will continue at its normal rate but reabsorption of CSF will be accelerated31 and the CSF volume will be further reduced. As the space occupation develops further, then CSF pathways will become obstructed by the mass or by the brain shift it produces and distortion of veins, even collapse of veins around a mass, will begin to impede local venous drainage. Johnston and Rowan32 showed that in such circumstances of high ICP, cerebral arteriolar dilatation occurs in an attempt to preserve CBF, adding to the already high ICP. The exhaustion of the compensating mechanisms for intracranial space occupation implies that any further abnormal volume added to the tightly compressed intracranial state will produce a massive rise in ICP and clinically this may be associated with herniation of the brain through the tentorial hiatus or into the foramen magnum. The process by which the intracranial space occupation gradually exhausts the compensating mechanisms is illustrated by the volume/pressure curve of the intracranial contents (Fig. 4.5).2133 At first the abnormal volume increase caused by a developing mass lesion produces little change in ICP. At a later stage, the same increase in volume produces a distinct rise in pressure. 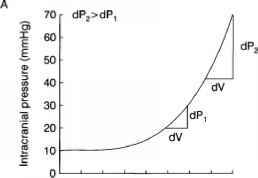 The steepest part of the curve represents the situation when the compensating mechanisms are virtually exhausted. The same volume increase at this point would produce a massive rise in ICP. The addition of small volumes to the lateral ventricle while measuring ICP has been used to elucidate the patient's position on the volume/pressure response curve, the rise in pressure produced by the injected volume being called the volume/pressure response (VPR).34,35 Leech and Miller3436 studied the relationship between the VPR and ICP in several conditions. 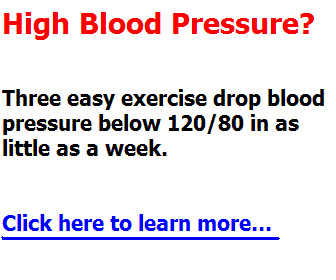 At normal blood pressure they found that the VPR was unchanged by alterations in systemic arterial pressure but at raised arterial pressure, there was an increased VPR and a linear correlation between VPR and both arterial blood pressure and cerebral blood flow. They suggest that the clinical implication of this is that arterial hypertension in patients with raised ICP is likely to have a deleterious effect by increasing brain stiffness. They also studied the effect on the VPR of reducing ICP with hyperventilation or mannitol37 and found that hyperventilation reduced ICP and VPR equally, whereas mannitol produced a greater reduction in VPR than ICP. They suggested that mannitol produced a more beneficial effect on intracranial compression than hyperventilation. Measurement of the ICP, examination of the trace and measuring the VPR will yield useful information about the degree of intracranial space occupation but it is possible to obtain more information by infusion testing.38 Pickard and Czosnyka20 have suggested that close analysis of the ICP trace is able to reveal the mechanism responsible for the raised ICP and whether autoregulation remains intact. Episodes of very high ICP may occur when intracranial compression is advanced and the control of CBF has become unstable. These were first noted by Lundberg1 who described A (or plateau waves), B and C waves occurring in patients in whom ventricular pressure was being continuously measured. A waves represent considerable increases in ICP (up to 80 mmHg) and may persist for 15-20 min. Their appearance indicates the patient who is nearing the limits of compensation for intracranial space occupation. They are associated with cerebrovascular dilatation. During the plateau wave, the CPP may be greatly reduced, even though the systemic arterial pressure rises. In such periods of high ICP, the level of response may worsen with possible loss of control of the airway, exposing the patient to the further dangers of hypoxia and hypercarbia. A waves were observed in 18 out of 76 patients in one study of head-injured patients and 11 of the 18 died.39 Tindall et al40 showed that a transient rise in PaCO2 often preceded the development of an A wave and Lassen and Christensen41 suggested that painful stimulation could also produce an increase in CBF and initiate pressure waves. The increase in CBV42 may in some cases be the result of inappropriate vasodilatation in response to a fall in CPP. B waves are smaller in amplitude with an increase in ICP of 20-25 mmHg and a frequency of one per minute. They are of less serious import than A waves but do appear on occasion to be precursors of A waves. Cyclic variations in vascular resistance have been suggested as the cause of B waves43 and transcranial Doppler (TCD) measurements of middle cerebral artery flow velocity have shown that MCA flow velocity increases during B waves.44 The appearance of B waves during sleep in patients with normal-pressure hydrocephalus is said to be a helpful sign for a good outcome after shunting.45 C waves occur six times per minute and are only just discernible on the pressure trace. CT scans give a valuable image revealing the size of a mass lesion and whether or not it is causing CSF obstruction, cerebral oedema or brain shift. Diffuse brain swelling can be evaluated by examining the size of both lateral and third ventricles and the perimesencephalic cisterns. Cerebral blood flow is controlled normally by cerebral metabolism. Autoregulation ensures that CBF remains constant even though the CPP may vary between 40 and 120 mmHg. Autoregulation is effective whatever the cause of the reduction in CPP, which can be either a reduction in the arterial pressure or an increase in ICP, or both. If CSF pressure is raised in experimental animals, CBF is maintained until CPP has been reduced to 30-40 mmHg; below this level, CBF falls rapidly.464748 Cortical electrical activity has been shown to remain normal in the face of experimentally induced intracranial hypertension to 40-50 mmHg.49 50 The diseased or injured brain, where ischaemia may be part of the disease process, is less tolerant of high ICP.51 There is frequently impairment of autoregulation, so that CBF becomes pressure dependent,52 with the result that there may be a significant fall in CBF caused by a relatively small fall in CPP. Anaesthetic agents alter cerebral function dramatically and it is possible to use some of their effects to benefit the patient undergoing neurosurgery. Some drugs have cerebral actions that may worsen the intracranial operating conditions, making the operation difficult or even impossible. The actions or side effects of drugs need always to be assessed in the light of the patient's clinical state. In the initial evaluation of Althesin, an intravenous anaesthetic, now withdrawn, which reduced CMRO2 and CBF, Turner et al57 showed that the fall in ICP produced by althesin in a group of patients with intracranial space occupation was proportional to the initial height of the ICP. That is, the patients most at risk from the space occupation showed the greatest fall in ICP with althesin. The effects of thiopentone on CMRO2 and CBF are well studied. There is a dose-dependent fall in CMRO2 and a parallel fall in CBF until the electroencephalogram (EEG) is isoelectric.58 At this point the CMRO2 is about 50% of control values and no further fall in CMRO2 occurs if the thiopentone dosage is increased. ICP falls with the CBF.